Dragon spirit - Play Retro Nintendo (NES) Video Games from the 80's in your web browser. Free emulator play. Play Nintendo Mini NES Classic Edition Video Games from the 80's in your web browser. Free online play. Over 300 NES Games. The Nintendo Entertainment System (also abbreviated as NES) is an 8-bit home video game console that was developed and manufactured by Nintendo. It was initially released in Japan as the Family Computer on July 15, 1983, and was later released in North America during 1985. 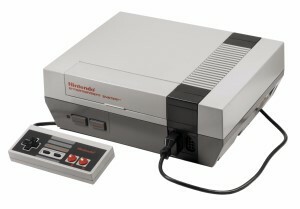 The best-selling gaming console of its time, NES helped revitalize the US video game industry of the 80's. Note: Not all games work on Mobile Phones. Mobile sound is compatible while using headphones only. Note: Not all game ROMs will work in the HTML5 Emulator. If game does not load, we also offer the Java version of this game. How to Play: Click on "CLICK TO LOAD GAME". Once the game loads, click on the game window and hit the ENTER key to start the game. The game controls are in a table above. You can click on Zoom In to expand the game to a larger size. You can click on Enable Sound to turn on the game's sound. If you grew up in the 80's you shouldn't need gameplay instructions. Enjoy!! Disclaimer: I did not write any of these games myself. These games are provided AS IS and with NO warranty. I have verified all games are virus free and safe. Please DO NOT email me with any problems encountered while playing these games! All copyrights are upheld with their respective game owners.